Finally updating this blog. I'm thinking of doing a separate website soon compiling better info for helping everyone with their workouts. 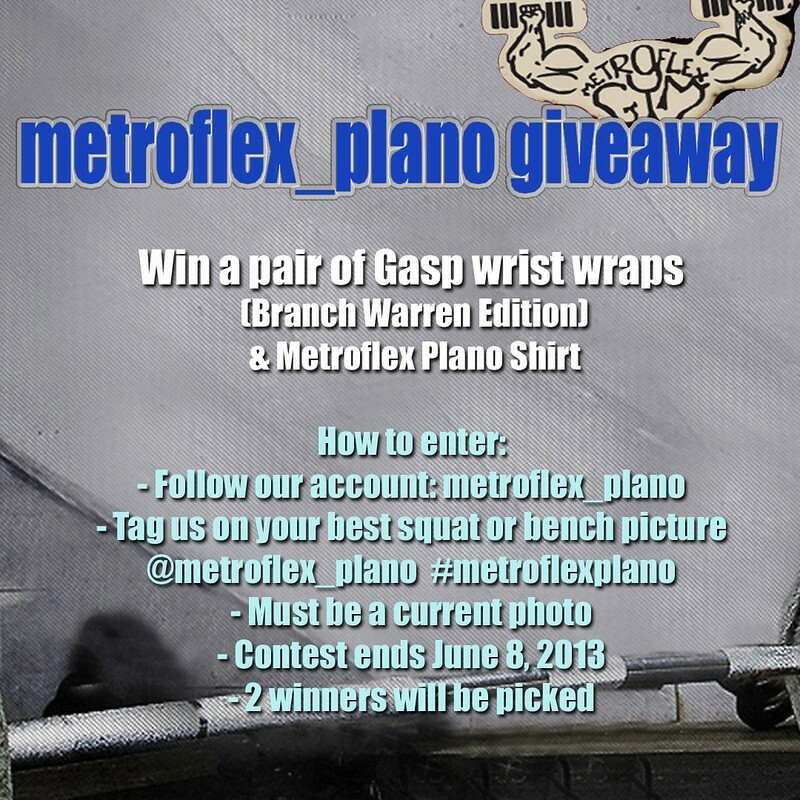 05.31.13 Giveaways, Updates, & Leg Workout! 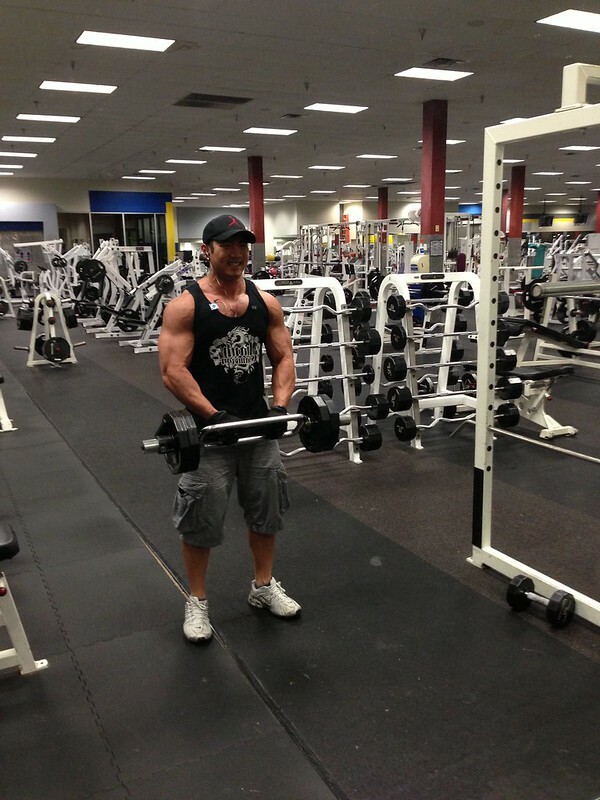 - Make a transformation video of your progress from beginning to now. - Make sure you have HanhChampion giveaway contest in your description box so I know it's for this contest. 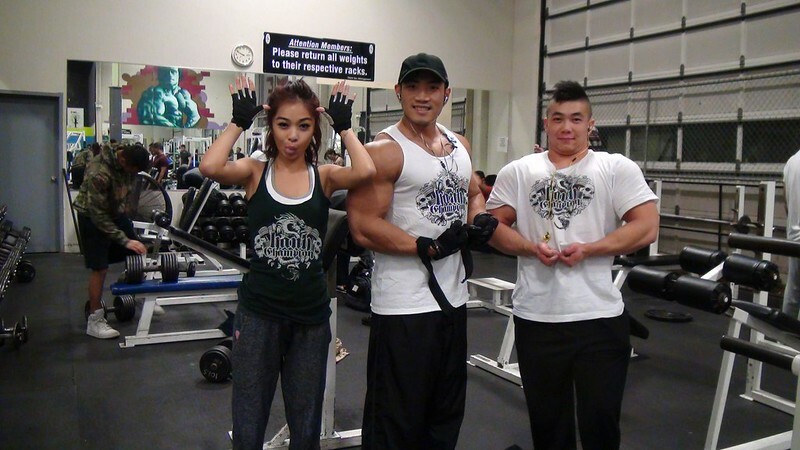 Video from Febuary's contest (best couples workout) winner, Nhat! How long will it take to look like me? I get this question a lot and it's very difficult to answer. So I will break it down and explain what I can here. First off, your mentality has a big effect on your results. People that doubt themselves have already failed. It's a big mental thing. I said to myself I would get big no matter what. So it was pretty much eat, sleep, work, and work out. 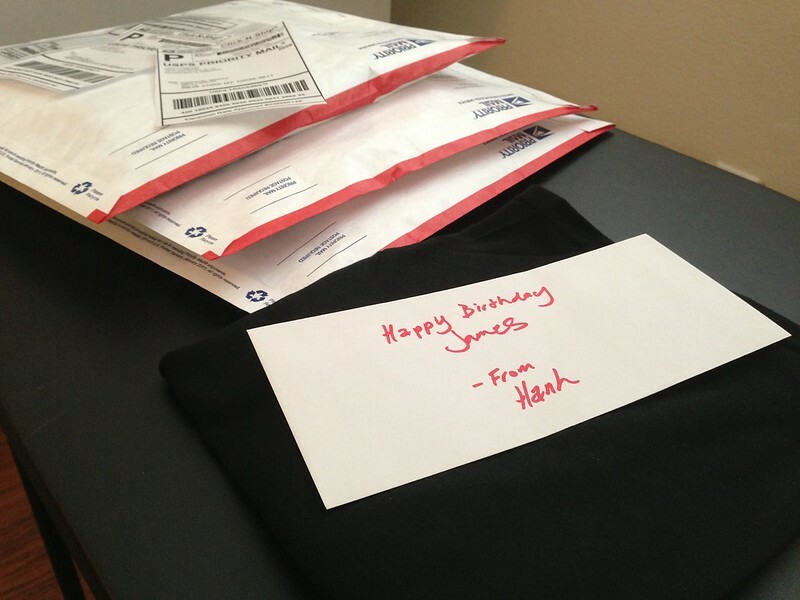 I spent almost all my paychecks on food and supplements. My entire day was thinking about eating and working out. By the time I got to the gym it was turning on my ipod and I let nothing stop me from finishing my workout. I see the same people at the gym for years that have little or no changes at all. Most of the time they spend talking to other people, joking around, or playing around on their phones. It's called a work out! So get to work! I see people who always doubt others because they think they're taking "steroids" and that's the only way to get big. These people have very little knowledge on the subject and just guess based on things they see on TV. ( You can read the article I wrote here if you want to be educated on the subject ) Then they blame others for the lack of results they get. They lack the mental capability to visualize themselves as successful. On the other hand, I meet people who tell me they take a 3000mg of testosterone and deca a week and it doesn't even look like they've worked out more than a month. They think a peanut butter jelly sandwich counts as a meal, and a 23gram protein shake counts as a snack. They have very little knowledge on nutrition, go to the gym, but they don't really work out. 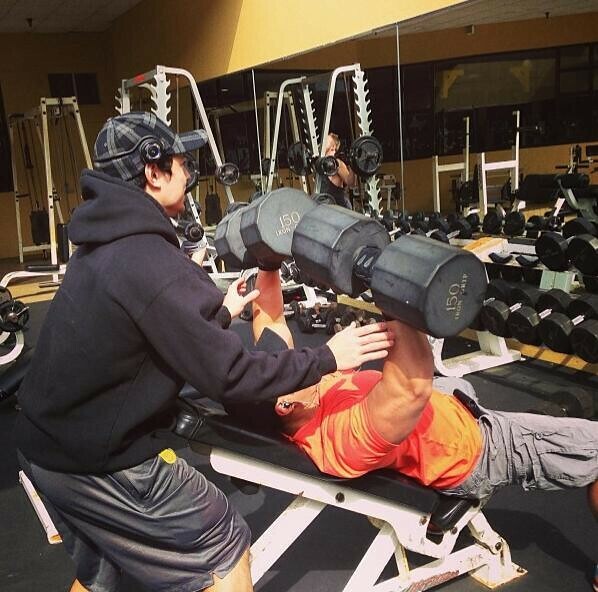 They have no clue on how to push themselves at the gym. So knowledge is power. Educate yourself on nutrition. Eating is most important part of it. No one is going to eat the food for you. Being able to buy your food and prepare your food is a part of eating. If you rely on your parents to buy you food make sure you are able to get what you need. Otherwise if you have no income to buy the food you need then your progress will be little to nothing. Looking good isn't cheap! The bigger you get the more expensive it's going to get. Yes you can count your macro-nutrients and eat out, but in the end it will cost you more than making your own food. My body does not react well to eating out with oily foods. It gives me bad acne. That brings another point about knowing your body. Everybody is different as I've stated so many times. Someone else's diet & workout routine may not work for you. You have to figure out what your body responds to. For me, lifting heavy gave me the best results which is pretty common with ectomorph body types. This is the body type that retains low body fat and hard to gain weight. Someone that gains fat easily may need to add in cardio along with weight training. Your lifestyle really has a big effect on how fast your results will come. I've had 9 to 5 jobs where my schedule was very consistent and I was able to eat whenever I wanted. I made really fast gains the first few months to a year. I've also managed jobs where I was constantly working all day everyday. Even when I wasn't at work I was still working mentally. It was very stressful mentally and physically. I was only able to maintain some of my gains but I didn't make any progress at all. So there's going to be a big difference between someone working an office job vs someone working manual labor all day vs a full time college student. Your recovery time will take a lot longer the more active you are. So you may need to throw in more rest days. For example two workout days then 1 rest day and repeat. Last off, your height makes a big difference on how you look in pictures. If you're 5' 4" at 150lbs you would look bigger in a picture by yourself than someone 6'1" at 170lbs. The taller you are the more you have to fill out your frame. So yes it does take you longer to look like you have more muscle mass if you're tall. The good thing is if you're tall and big, you will make everyone look tiny standing next to them. Also your skin tone makes a huge difference on how you look. If you're tanned you appear as if you're bigger than someone with the same stats but have a light skin tone. So the short answer to the question: It really depends on you. Update for 2013 so far. I guess the social media apps make it a lot easier than sitting down and typing a blog on my computer. Also some of the older blog post have missing pictures as they were linked to my old facebook. Now that they changed the url's for the pictures some of them are missing. So that's kind of disappointing. I've tried to fixed some of the missing pictures in some of the post. So.. on with the pictures and videos. Back in December 2012 visiting Jenny. 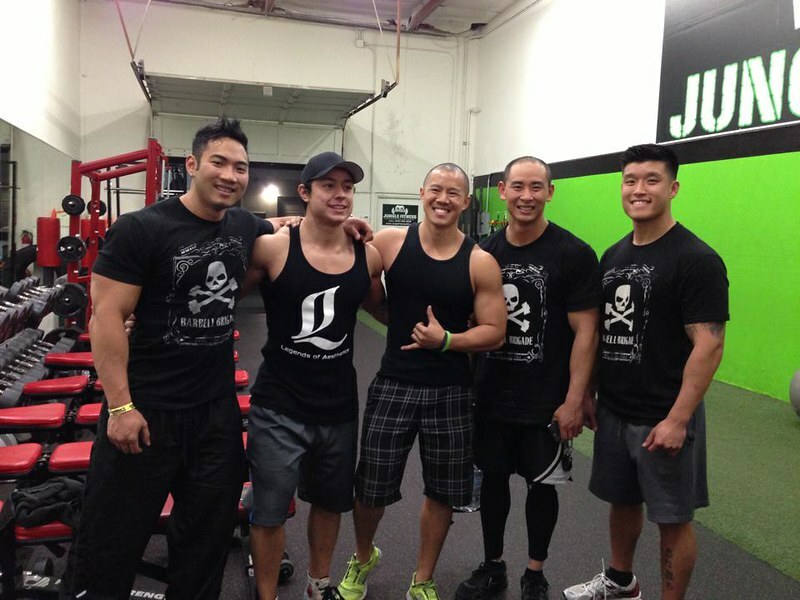 With my friend Vince (youtube.com/vinceyuen88 ) at Sport Central Fitness. Right before New Years 2013. 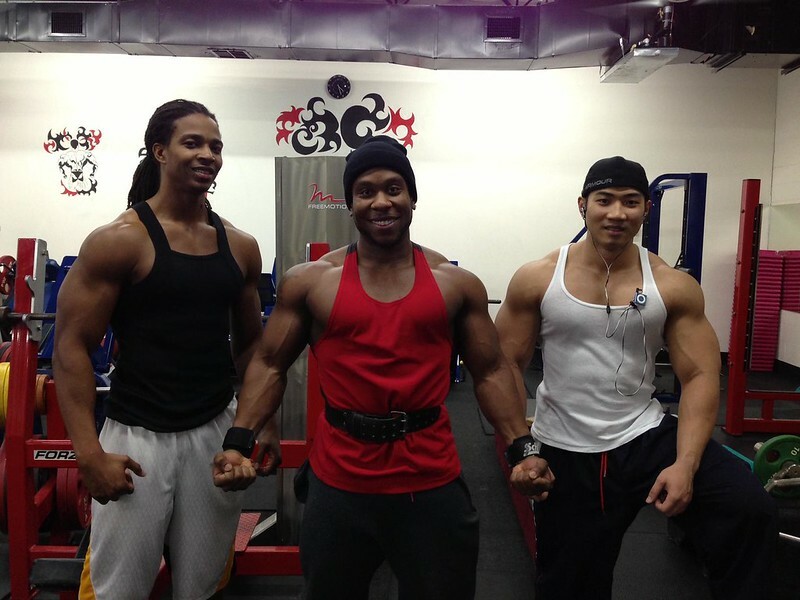 Did a chest & shoulders video with Skullay & Chris Jones at The Gym Dallas. I went to the Arnold Classic for the first time in February. 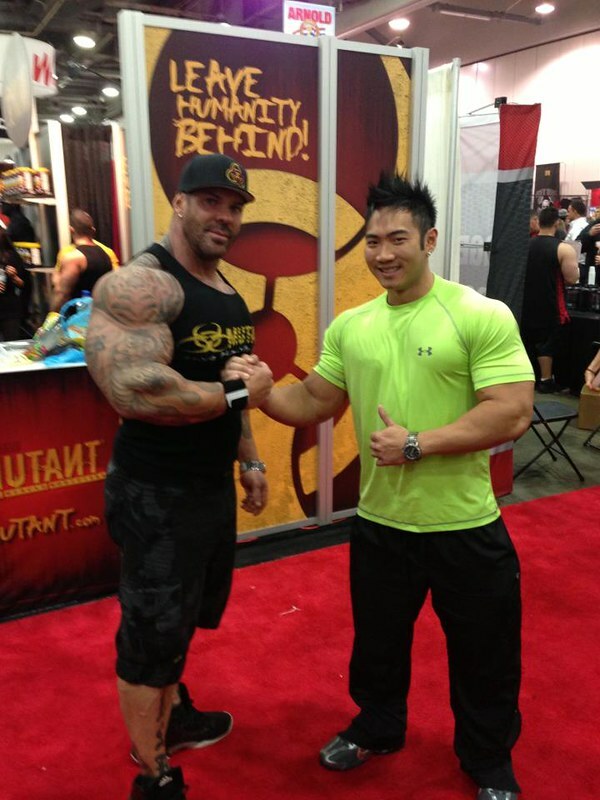 Here's pic of Rich Piana! Really cool guy with huge arms! Playing around with fake weights. lol. Ohio was super cold and boring. Everything closes early too. The show was great and I met a lot of cool people. I was surprised the amount of people that recognized me! Back in March, Jenny & I went to Houston to hang out and visit a long time mentor and new friend, Tuan Tran. 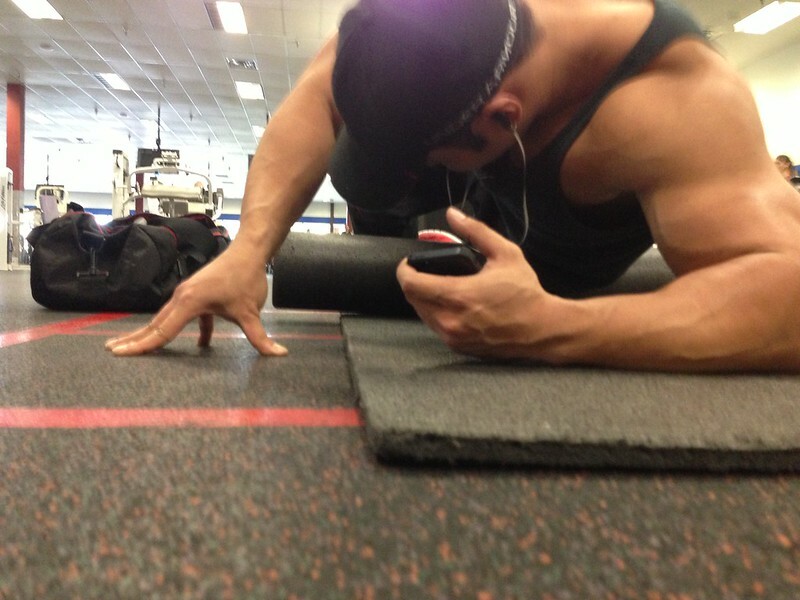 After practicing foam rolling a few times it became a very effective part of my workout regimen. 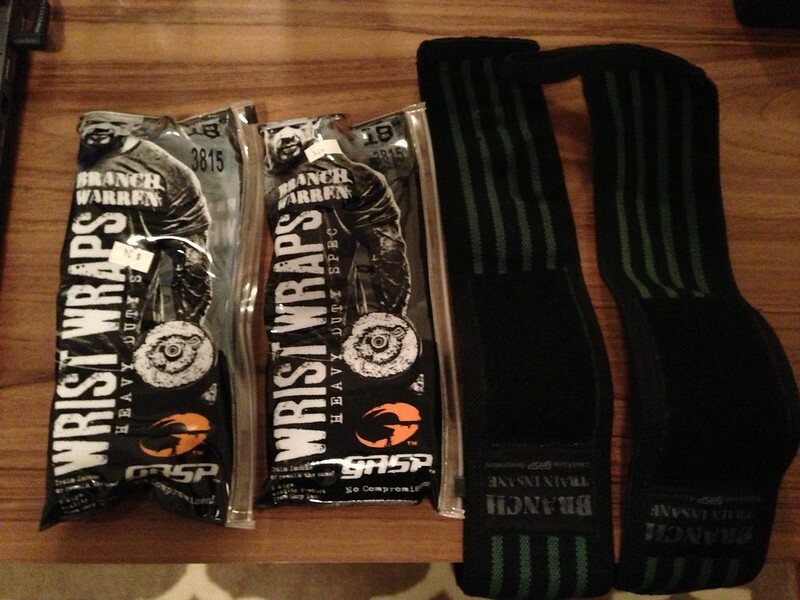 It definitely speeds up recovery time and relieves a lot of joint pains. It's weird at first and not very comfortable but once you get used to it, you will love it! Here's the video on foam rolling if you've missed it. In March Jenny & I went to California. Matt met up with us in SoCal because his gf was there for an event. We had a gym meet.. which we planned last minute and didn't expect it to be so big. 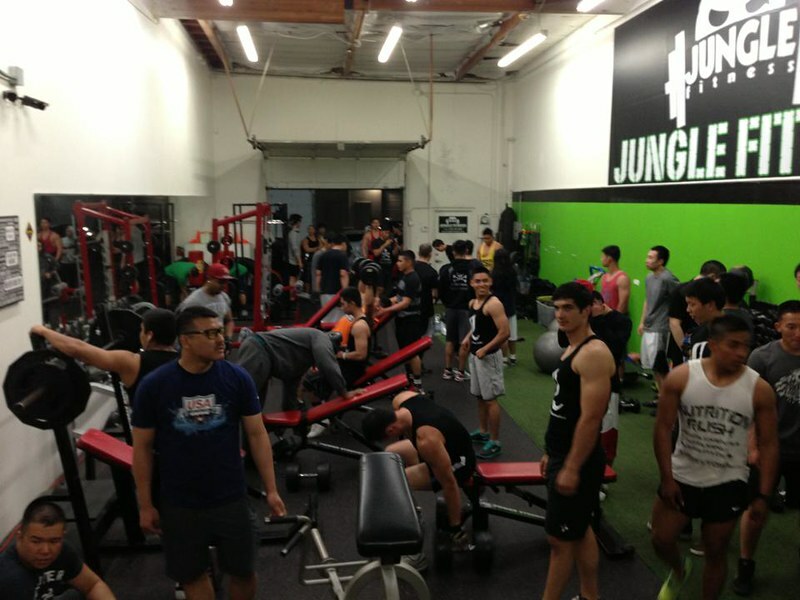 We had a hard time finding a gym that would allow us to do this, and Jon at Jungle Fitness came through! We ended up networking with more gym owners and I think next time we can plan a better event instead of last minute planning and trying to limit the amount of people. For those that don't travel much, keep in mind Southern California is a very populated area. Especially with Asian people. We had over 100 people show up from all over California. Not bad for a last minute unofficial meet, lol. We had a great time, met some new friends, and went to eat afterwards. The gym is made for private personal training. It's not open to the public so it wasn't very big for the amount of people we had. It was pretty fun though! 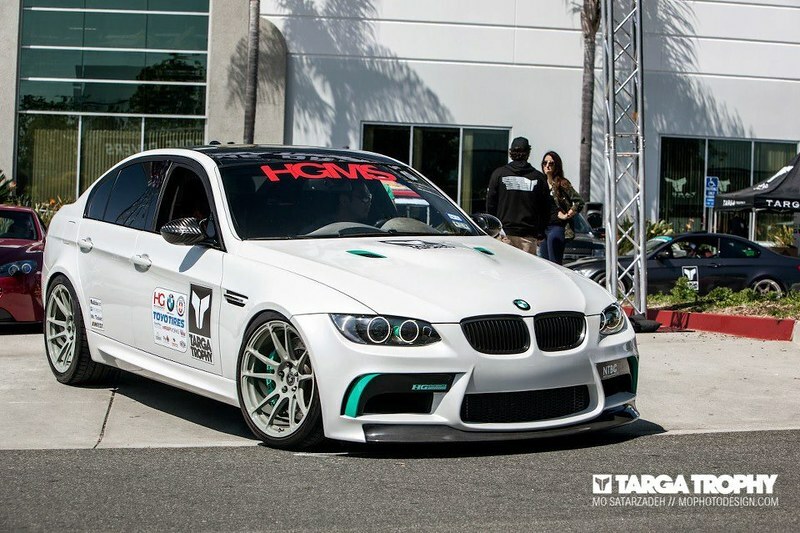 I brought my M3 to Cali to get some work done and attend a rally. My co-pilot Jenny and stand next to a really steep cliff. The roads out in San Diego are amazing as well as the weather! There's nothing like that in Dallas. Things are pretty flat and boring here. 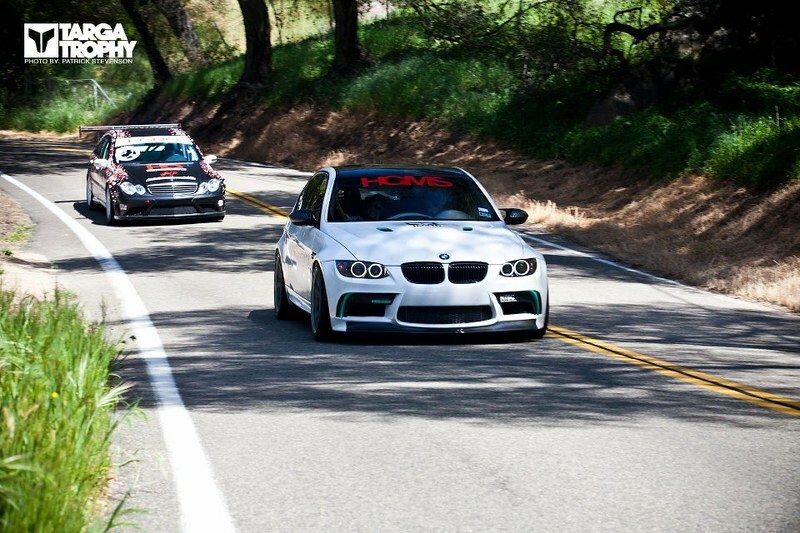 100 miles of twisty roads. 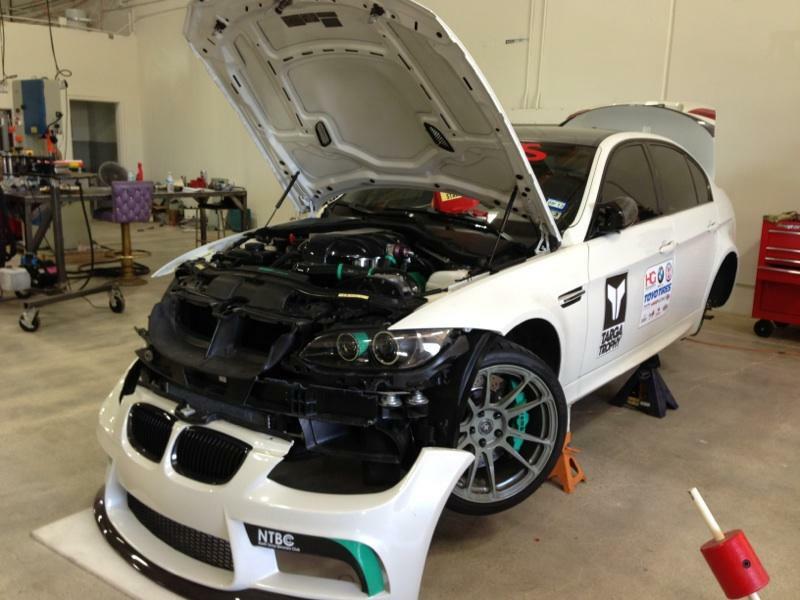 I had some issue with the engine a week after the rally. It was a bit disappointing and almost gave up on it. I almost thought of parting it out. 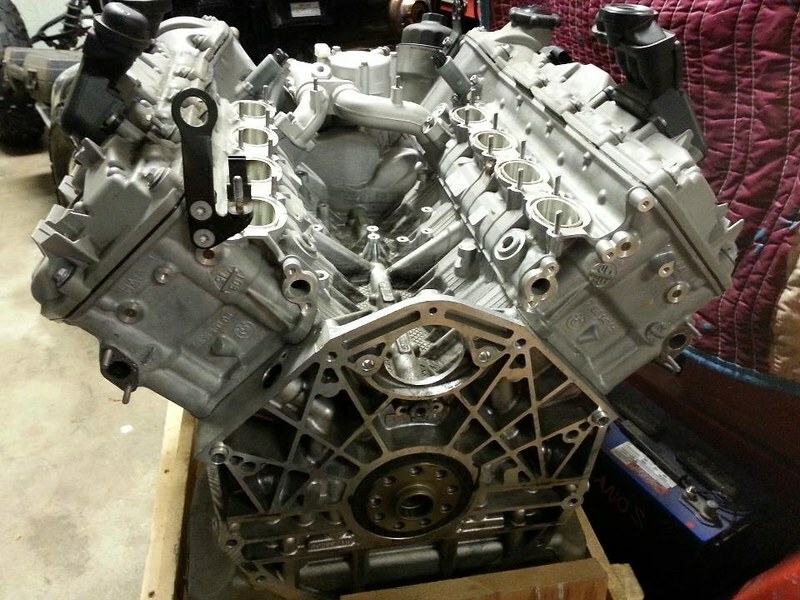 I've searched for a month and luckily found a really great deal on a motor to be built. This time it will be faster and stronger. The shop is using my car to fabricated some parts. 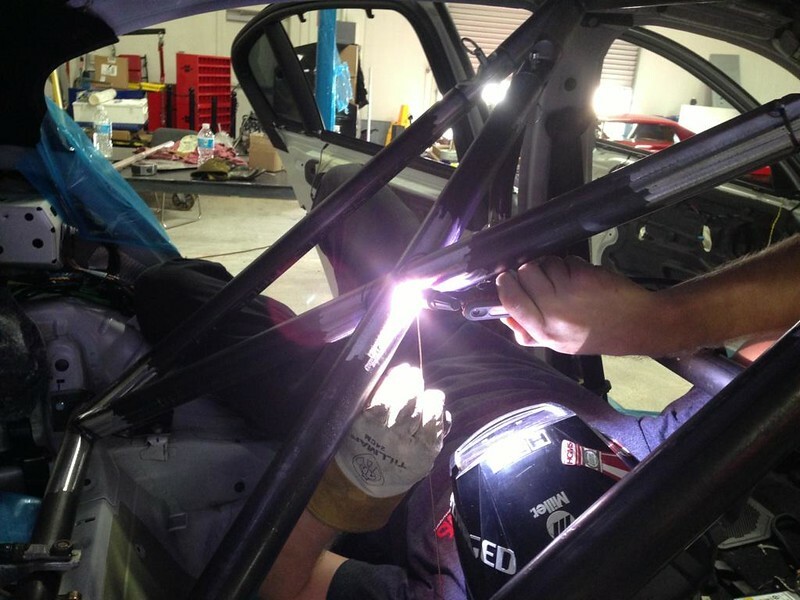 This is a prototype roll-cage being built. Not the final one. Matt drove 2 hrs to hang out and take me to the airport.You can't really judge someone until you really meet them. I pretty much hung out with him the whole week and not for youtube videos but because he's a real good friend to hang out with. After having issues with my car on the way to San Diego.. I went ahead and went to the gym to do a chest workout. 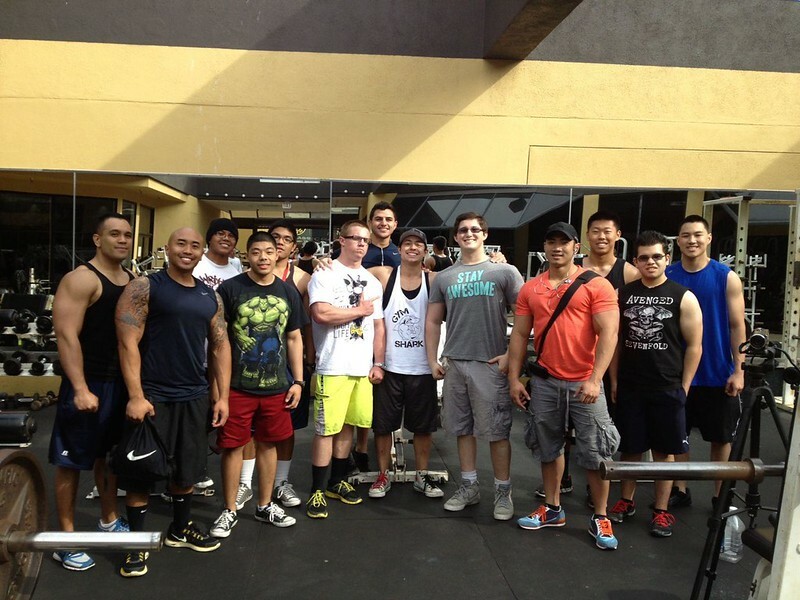 This Gold's gym in San Diego was really cool. The staff was very welcoming and let about 20 of us in for free. They had an indoor gym and a classic outdoor gym which we were allowed to film at! I had only one meal prior which was a subway sandwich, lol. Matt & I have pretty much different training styles and different ways of dieting. It's difficult to do the same workout so most of the time we are doing our own thing with spotting here or there. When it comes down to it, what we both have in common is the mindset of working hard for what you want. At Metroflex Plano doing some 160lb dumb bell presses with Greg & Jon. We had a live workout which was pretty cool. I had a strain or slight tear on my left quad back in December. It seems to be fine now and I'm squatting pretty much the same again. I also strained my right lat deadlifting really heavy at the end of a back workout. It seems to be okay now. 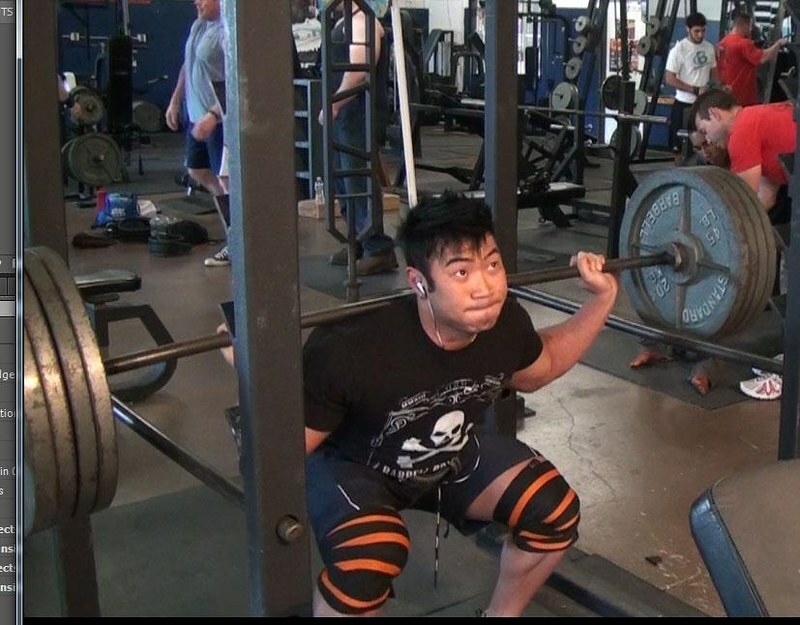 Here I'm repping 225lb deadlifts with overhand grip on a fat bar. 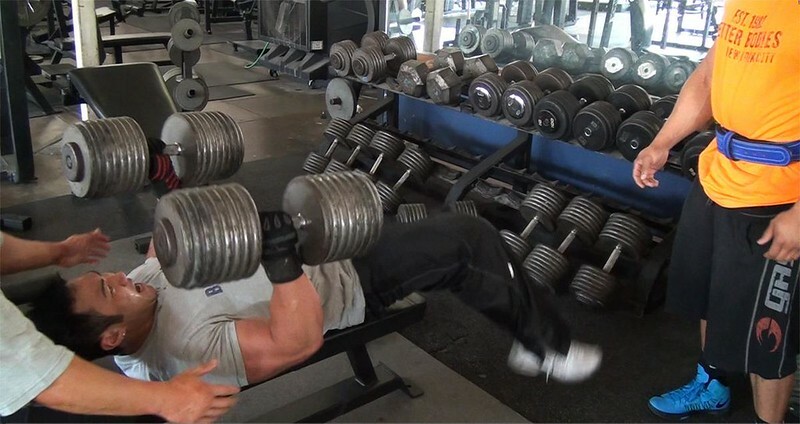 This works out a lot on my forearms. I usually don't do this but it's pretty fun. Well that's it for now. I've lost a lot of pictures from my phone because it got wiped out not too long ago. I've lost everyone's numbers as well, lol. Now that my blog is updated I will try to keep it updated! Thanks for reading! Here's an arms video I made with Jenny. If you are looking for full fingered workout gloves you can get these bionic ones here. They are made for workout. The ones I use are dirt bike gloves made by fox. Blog update.. going to grocery store to restock my fridge. This video you can get an idea of what I eat. My meats I buy every other day to keep it fresh. I live close by a few grocery store and my fridge is small so I'm working with what I have. You can save a lot more by buying in bulk if you have the space for it. Not all of the sets were shown in the video as the video would be way too long. I slightly tore my left quad a week prior so I wasn't able to go as heavy on the standing barbell shoulder press at the end. It's tough at the end of the work out anyways. Typically the sets would be 3-5 with 2 warm up sets and 3 working sets. There's more on the training guide tab above.